Introducing the World's 1st Bluetooth LED Fidget Spinner! USB Rechargeable Battery: 5+ Hour Battery Life. 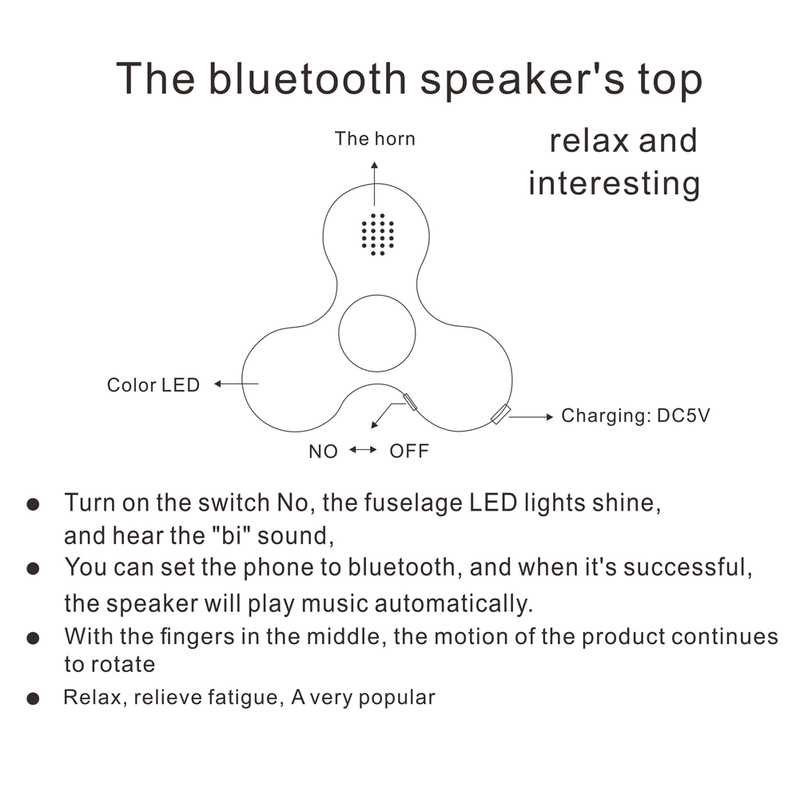 1x Bluetooth speaker hand spinner Fingertip gyroscope.